Find hotel near The Tequila Herradura Sen .. Located in the renowned Cancun Hotel Zone, The Tequila Herradura Sensory Museum exhibits one of the most important Mexican traditions: Tequila. A unique form of museum in itself, it features both the history and legacy of the Hacienda San Jose del Refugio in the town of Amatitan which is further known to be the place where this exquisite liquor was born. This museum was set up with an aim to promote the tradition of the Tequila, as well as the value and quality of the Hacienda San Jose del Refugio products. A visit to this museum will make you discover both the taste and smell of the tequilas. Visitors will explore the both the original and modern day processes of making tequila, as well as the history and legends surrounding the Agave, the four different types of Tequila in the exhibition and the Hacienda. Since Tequila is an integral part of Mexican tradition, it would be a nice idea to understand it through a tour to this museum. The best time to visit will be between 10am-4pm. How popular is The Tequila Herradura Sensory Museum? People normally club together Scorpion's Temple and Cancun Underwater Museum while planning their visit to The Tequila Herradura Sensory Museum. 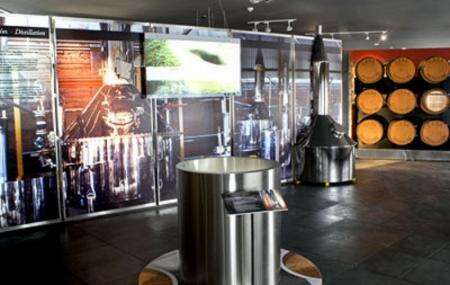 People also prefer to start their day with The Tequila Herradura Sensory Museum.